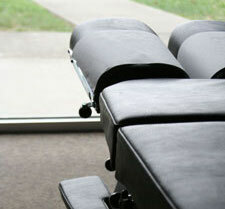 Thornton Chiropractic’s focus is on helping you in the manner best suited to your needs. Chiropractic care is our main area of expertise, but we offer complementary services that can serve as an important part of your healing. Dr Heidi Upneck-Nel (Chiropractor) is skilled in giving specific chiropractic adjustments, determining which method suits your needs with gentle palpation. She looks for a solution to the cause of your pain, not just treating the symptoms. Our holistic approach includes considering different lifestyle factors to improve your overall heath. Stress levels, work, dietary needs and emotional support are all pieces of the puzzle. 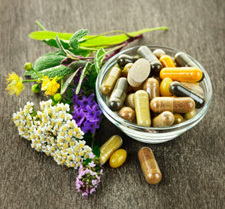 If you’re struggling with a certain problem that may benefit from taking a nutritional supplement, Heidi may be able to give you that advice. If we’re helping a child with developmental delay or ADHD, we have a variety of pathology test options that can tell us specifically where they’re nutritionally deficient. There is no extra charge to discuss nutrition with Heidi. Relaxation and Deep Tissue Massage. Relaxation massage is ideal for people needing to unwind and De-Stress, our therapist can help do just that! Deep tissue massage is beneficial in releasing chronic muscle tension. The focus is on the deepest layers of muscle tissue, tendons and fascia (the protective layer surrounding muscles, bones and joints). 1 hour massage at $60 – not claimable on private health funds. Contact us today to get our best recommendations on improving your health. We look forward to helping you! Dr Heidi offers several different chiropractic adjustment techniques. 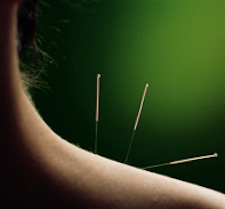 Dr Heidi offers dry needling to compliment chiropractic care. Dr Heidi can assist with nutritional and natural supplementation advice.